The day after winning $100,000 at The American Rodeo, Lisa Lockhart was back in South Dakota's single digit temperatures, doing chores. "I want to do the chores," she said. The highlight for Lockhart wasn't beating past, present and future world champions in "the world's richest one-day rodeo" for the second time. It wasn't the big check, or the saddle, or the $50,000 in prizes or the media attention. It was having her 17-year-old daughter, Alyssa, there with her. For a wife and mother of three who travels 200 days a year for her job, any time she can share a special moment with her family makes that moment a whole lot more special. 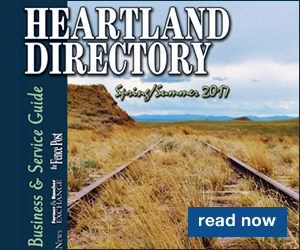 Though Lockhart's husband, Grady and two sons, Thane, 14 and Cade, 11 were at home taking care of the ranch near Oelrichs, South Dakota, the excitement wasn't diminished because they were watching on TV. Lisa laughed about expecting to find a hole in the carpet in front of the TV. Grady said Thane may have recorded some footage of a happy dance moment that Grady would have rather not shared with all Thane's Snapchat friends. But for Lisa and her horse, Louie, it was just another day at the office. Of course, that "day" lasted for a total of 28.018 seconds, and all the work happened in front of more than 75,000 people and ended up with a $100,000 paycheck. "You take every rodeo, every run as challenge. Some are just a little bit bigger than others," she said. 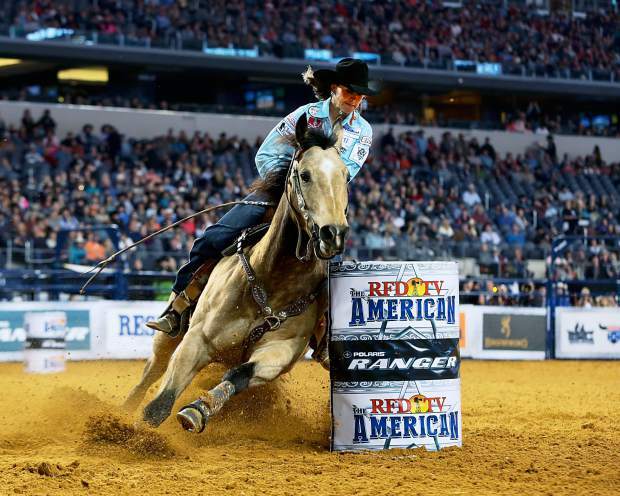 Since The American is not part of the PRCA circuit, the winnings don't count toward the year-end standings or help Lockhart toward her ninth Wrangler National Finals Rodeo qualification, so she's staying on the rodeo trail. Following The American she has an unusual nine days at home, before she heads south again for the Houston Livestock Show and Rodeo, and the Ram National Circuit Finals at Kissimmee, Florida. Since The American isn't a PRCA-sanctioned event, they get to make their own rules. The rodeo is conducted tournament-style. Athletes can compete in several qualifying rodeos leading up to The American semi-finals, and anyone who can qualify is eligible–no PRCA or WPRA card required. That's how 9-year-old Chayni Chamberlain ended up competing against some of the best barrel racers in the world in the qualifying rounds on Friday and Saturday. For the previous year's top 10 PBR, PRCA and WPRA cowboys and cowgirls, though, all they have to do is show up. Their world standing automatically earns them a slot. That allowed Lisa to go to Tucson, then show up just in time for the rodeo Sunday afternoon. The American overlapped the short-go at Tucson, so she had to decide which was a better gamble. Her odds paid off. The American featured an elimination round, then a "shoot-out," which brought back the top four competitors in each event. "Once she made the final four, we knew she had a pretty good chance," Grady said. Since Lisa won the first American barrel racing title, she was a little more familiar with the rodeo and the arena, but she said she treated it like any other rodeo. "We're going out there, making the best run we can, every time." All the fanfare about the added money and big names is just that for Lisa–fanfare. "It's more for the spectators and fans than anything," she said. Since she was sitting in third of the four shoot-out qualifiers, she ran second, so she had to wait through two more runs before she knew she had won the title again. "I try not to pay attention to those small details. You can't be thinking about those sorts of things for the most part. I try not to let those kinds of things enter into the scenario. You can only go as fast as you can go." 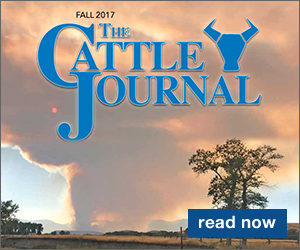 While she may be competing against unfamiliar barrel racers, she's very familiar with her biggest competitor. "It's not just who you're competing against. You're competing against yourself too." Lisa and Louie have been competing against themselves together for several years. 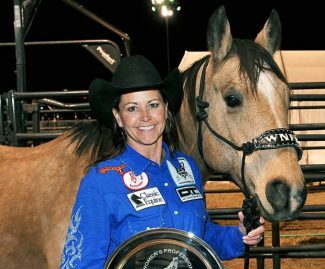 The 12-year-old buckskin gelding, registered as "An Okie With Cash" was bred by B Bar Heart Quarter Horses, the Bagnell family from Polson, Montana. Every year they send her another horse to work with. Lisa and Grady also buy a few young horses, and breed a few horses each year, but so far she hasn't found another Louie. "You gotta kiss a lot of frogs to find that prince," she says. "I don't think there will ever be another Louie. I'm very fortunate to have had some nice horses. I'd love to try to make more, but I don't think there's ever going to be another Louie." With Alyssa competing in high school rodeo, and Thane competing in junior high rodeo, and Cade coming up through the ranks, Lisa and Grady stay even busier building more horses to keep everyone in the family in the saddle. Grady also rodeos when he can, but between the ranch and the kids, every year his time in the arena gets a little less, Lisa said. 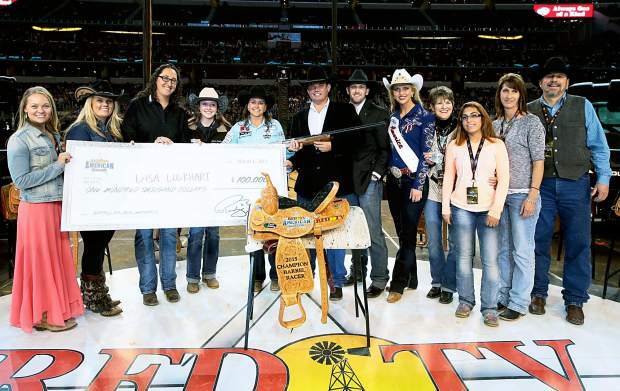 While it's never easy, the Lockhart family has figured out how to make it all balance, and a championship at The American is just another sign of the succeess of their balancing act. "It's all overwhelming, really. It's just a number as far as the money. Knowing how big the rodeos are and for her to do so well at them, it's unbelievable. I've always known Lisa is very handy with a horse. To have so much success, it's been life changing for our family for sure," Grady said. Lisa, with the humbleness she's known for, summed it up: "It's all good."